Don’t miss Canadian icon Christopher Plummer in Barrymore, which celebrates its opening weekend at the Elgin Theatre. In this acclaimed one-man play, Plummer embodies the role of John Barrymore, one of the 20th century’s greatest Shakespearean actors. Winterlicious starts today! Approximately 150 restaurants—including local favourites like Bier Markt, Bangkok Garden and the newly renovated Canoe—are participating in this popular prix-fixe dining event. It’s a great and affordable way to try some of the tasty food Toronto has on offer. If you haven’t had the pleasure of seeing The Second City’s riotous revue, Something Wicked Awesome This Way Comes, this weekend is your last chance! Tour winter blues will melt away as the troupe presents its hilarious sketches about family, neighbours and life. Marvel at the enchanting voices of Canadian soprano Isabel Bayrakdarian, tenor Michael Schade and the rest of the Canadian Opera Company cast in Mozart’s beloved opera The Magic Flute. The whimsical tale opens tonight at the Four Seasons Centre. The Art Gallery of Ontario offers some excellent Indian-inspired events this afternoon, in conjunction with its ongoing Maharaja exhibition. Get a henna tattoo, learn how to cook with Indian spices, or enjoy a sitar performance. Soulpepper Theatre Company opens David Mamet’s Oleanna tonight at the Young Centre for the Performing Arts. In this acclaimed drama, the boundaries of political correctness and student-teacher relationships are tested as a professor and pupil engage in a controversial relationship. 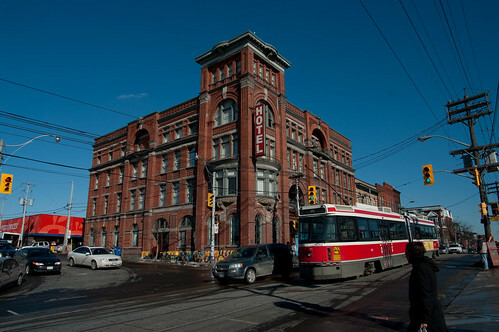 Step into the minds of artists with Come Up to My Room, an alternative design installation spread across 11 rooms at the Gladstone Hotel. Today is the final day to see the work of local artists like Amanda McCavour and Xiaojing Yan showcased on the second floor of this unique hotel. If seeing The Magic Flute wasn’t enough, head to Roy Thomson Hall for an afternoon of light classics by Mozart and his contemporaries. Among the pieces slated for performance by the Toronto Symphony Orchestra are the Austrian wunderkind’s Eine Kleine Nachtmusik and Oboe Concerto in C Major. Learn how to redecorate any room at the annual Interior Design Show. This huge expo at the Metro Toronto Convention Centre features numerous vendors, tips from design experts, sneak peeks at the latest design trends and much more.